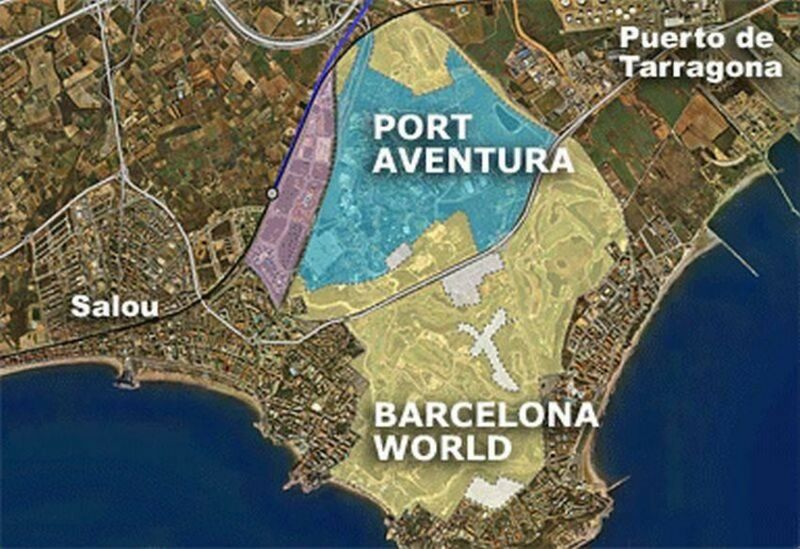 Area map of the BCN World site, just south of the city of Tarragona, and close to the theme park PortAventura. The announcement coincides with the decision by American casino-magnate Adelson’s to locate his Eurovegas project in Madrid, rather than Barcelona. 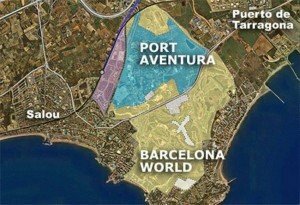 The Catalan Government has announced plans by La Caixa bank and London-based developer Veremonte to build a huge new tourist and residential complex called Barcelona World on the coast south of Barcelona, with an expected cost of 4.6 billion Euros. Located next to Port Aventura, an existing theme park on the Costa Dorada between Salou and Tarragona (pictured above), Barcelona World will have six themed zones – each with its own 2,000-room hotel, casino, golf course, convention centre, shops, offices, residential area and services provider – spread across 826 hectares (provided by La Caixa), 200 of which are already occupied by Port Aventura. The six themes will be Europe, the US, Russia, China, India and Brazil. With 12,000 hotel rooms in total, Barcelona world is expected to open in 2016, create 20,000 new jobs, and attract 10 million visitors a year, according to forecasts by the developer Veremonte, run by Enrique Bañuelos, who made his name and fortune during the Spanish property boom, before moving to Brazil. There is an important political agenda behind Barcelona World: The Catalan Government sees it as a way to consolidate the region as a tourist destination, and compete with Madrid now that the American casino-magnate Sheldon Adelson and his Las Vegas Sands Corporation have decided to locate the Eurovegas casino project there, rather than Barcelona. “We want to consolidate our position as one of the world’s great tourist capitals, which is why the project will be named after Barcelona,” said the Catalan finance minister Mas-Colell. There is no denying that Barcelona World would be well located, with a Mediterranean climate and excellent communications, arguably better placed than Eurodisney near Paris, and Eurovegas near Madrid, not to mention the pie-in-the-sky Paramount theme park project near Alhama de Murcia. Served by both Reus and Barcelona airports, with good motorway access, a train-station on the AVE line, and proximity to the ports of Tarragona and Barcelona (where increasing numbers of cruise ships stop off), Barcelona World will be easy to reach by plane, train, and automobile, as well as by ship. Barcelona World will be an easy drive to several big cities in the South of France and Spain. There are other advantages. 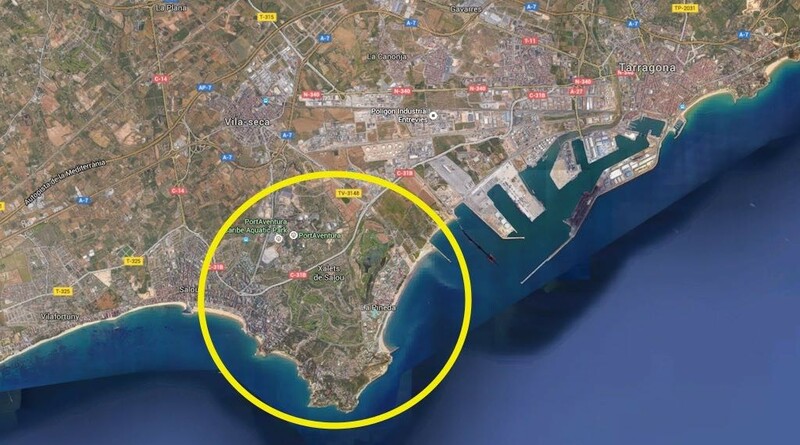 The site where Barcelona World will be built has already been urbanised – a big plus – and has 3 functioning golf courses, a beach club, sports centre and the Port Aventura theme park, which is profitable with 4 million visitors a year. 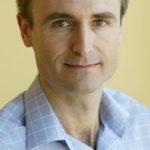 If Barcelona World goes ahead as planned – still a big if in my opinion – it is bound to create interesting residential investment opportunities in the area. I will, of course, keep readers closely informed of developments. Can you say just “why” do you personally regard the Murcia Paramount Theme Park as “pie in the sky”? I live very near to the proposed location, and whilst I personally believe that it will only happen when I see that it is open, there’s thousands (possibly tens of thousands) of foreign homeowners in the area who are relying on this Theme Park as the answer to their prayers. Just as they are almost equally relying on the proposed new Corvera Airport to tmpt buyers to the area. I personally also believe that Corvera airport will only open when I see the planes landing, but gain, it is seen as the solution to house sales in the area. Because I think it is a crazy place for a theme park (too far from big cities, too hard to reach), and I seriously doubt they will ever raise the money. This is just my personal opinion. If I am wrong I will be the first to admit it.